His Holiness: I always look at any event from a wider angle. There’s always some problem, some killing, some murder or terrorist act or scandal everywhere, every day. But if you think the whole world is like that, you’re wrong. Out of 6 billion humans, the troublemakers are just a handful. 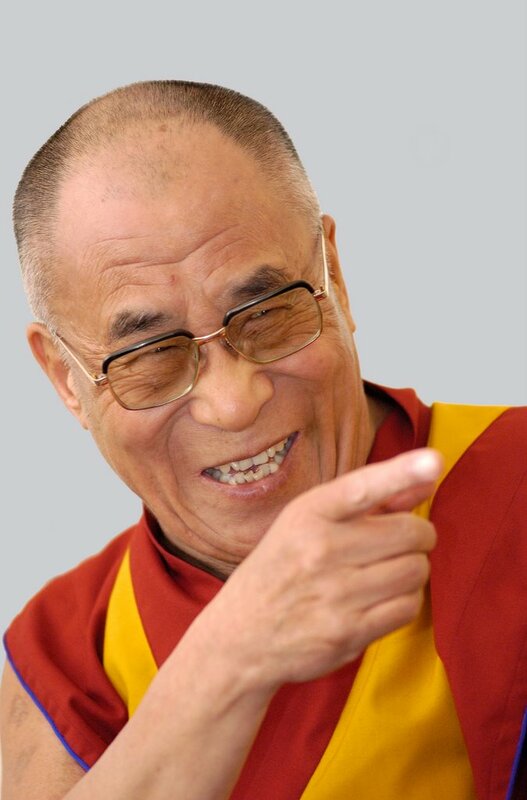 His Holiness: I became the Dalai Lama not on a volunteer basis. Whether I was willing or not, I [had to study] Buddhist philosophy like an ordinary monk student in these big monastic institutions. Eventually I realized I have a responsibility. Sometimes it is difficult, but where there is some challenge, that is also truly an opportunity to serve more. His Holiness: Yes, there is a possibility. But I think past experience shows it is not easy. Many of these hard-liners, their outlook is very narrow and shortsighted. They are not looking at it in a holistic way. However, within the People’s Republic of China, there is wider contact with the outside world. There are more and more voices of discontentment among the people, particularly among the intellectuals. Things will change — that’s bound to happen. His Holiness: Yes, at a young age. Sometimes I felt, “Oh, this is a burden. I wish I was an unknown Tibetan. Then I’d have more freedom.” But then later I realized that my position was something useful to others. Nowadays I feel happy that I’m Dalai Lama. At the same time, I never feel that I’m some special person. Same — we are all the same. His Holiness: Yes. Tibetan culture is not only ancient but relevant to today’s world. After seeing the problems of violence, we realize that Tibetan culture is one of compassion and nonviolence. There is also the climate. In India during monsoon season, it is too wet. Then, I very much miss [ Tibet]. His Holiness: There are innocent, faithful people that are manipulated by some other people whose interest is different. Their interest is not religion but power or sometimes money. They manipulate religious faith. In such cases, we must make a distinction: these [bad things] are not caused by religion. Question: Have you ever tried on a pair of trousers? —Ju Huang, STAMFORD, CONN.
His Holiness: When it’s very, very cold. And particularly in 1959, when I escaped, I wore trousers, like laypeople dressed. So I have experience. Question: Do you believe your time here on earth has been a success? —Les Lucas, KELOWNA, B.C. His Holiness: Hmmm. That’s relative. It’s so difficult to say. All human life is some part failure and some part achievement.